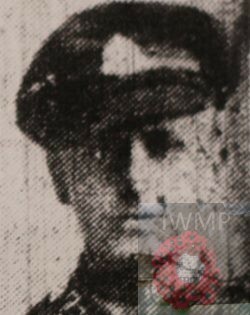 Died: 24th March 1918; age 24; Died of Wounds. 1901 16, Surbiton Road, Ipswich. Victor was 7 years old and living with his widowed father & sisters. Frederick William Baker, 40, a Bricklayer, born Woolpit, Suffolk. Ida Olive Victorine Baker, 13, born Ipswich. Ethel Louisa Elizabeth Baker, 10, born Ipswich. Kate Laura Anna Baker, 8, born Ipswich. 1911 30, Rope Walk, Ipswich. Victor was 17 years old, an Apprentice French Polisher. He was living with his father & step mother & her son. Emily Baker (nee Mudd), 48. Archibald Robert C. Orr, 14, a Foundry Labourer – Welding. 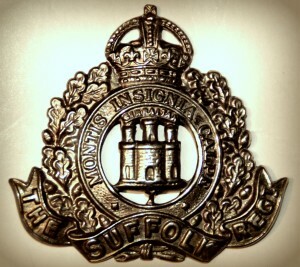 Victor’s mother was Annie Baker (nee Dennant), born 1855, Ipswich – died 1894, Ipswich.